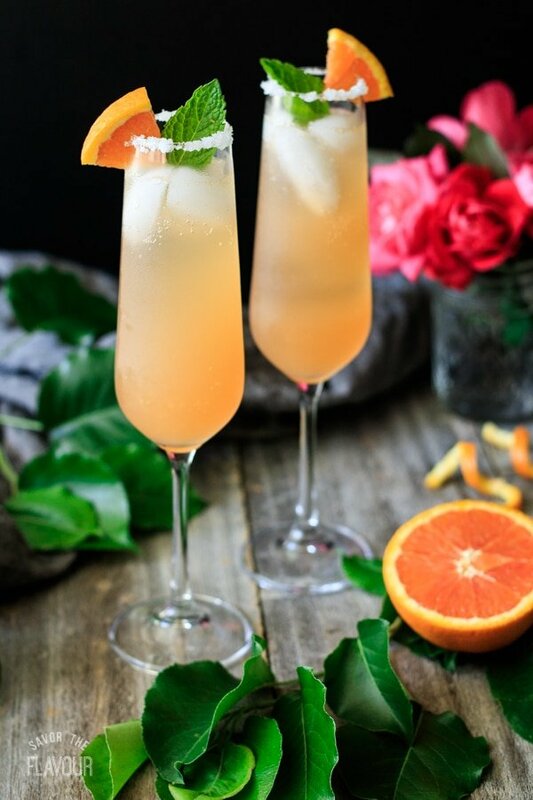 De-stress with these sparkling grapefruit and ginger fizz. 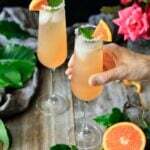 They’re a refreshing, nonalcoholic drink made with ginger ale, ruby red grapefruit juice, and a simple ginger syrup. It’s a perfect drink for a special dinner, baby shower, or ladies’ party! Okay, it’s Friday. You’ve had a hard week and are so ready for the weekend. 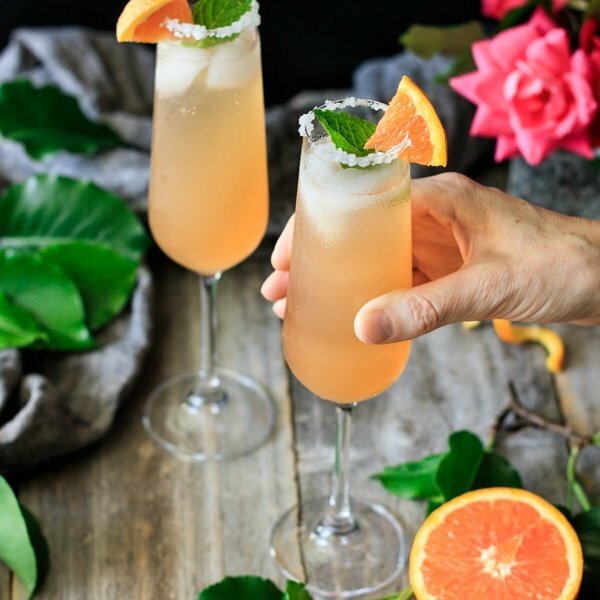 De-stress by reclining on the porch, enjoying the spring breeze, and sipping on one of these sparkling grapefruit and ginger fizz. It’s so refreshing, you’ll want to have a refill! 🥂 Better yet, these fizzes are non alcoholic. On your way home from work, pick up a 2-liter bottle of ginger ale, grapefruit juice, and a fresh ginger root. Make up the ginger syrup and let it cool while you enjoy your supper, then stir up the grapefruit and ginger fizz when you have dessert. Or, just enjoy them on their own! Even if you’ve had a good week, you still need to make this delightful drink. 😊 It makes enough for your whole family to enjoy this refreshing spring treat! 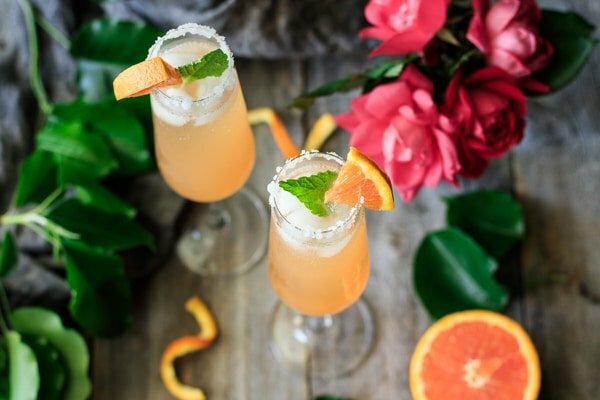 Looking for something to serve with this grapefruit and ginger fizz? Here’s some delicious ideas! 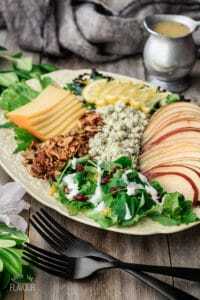 Pear, Gouda, and Almond Salad: a flavorful spring salad served with homemade dressing. Quick and Easy Key Lime Pie: a super easy spring dessert that your family will love. 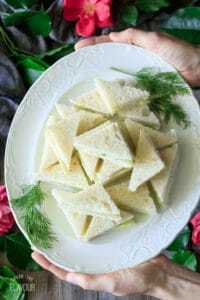 Easy Cucumber Sandwiches: light, refreshing appetizer that’s perfect for a ladies’ tea. Place the sugar and water into a small saucepan and stir over medium heat until the sugar is fully dissolved. Add the peeled and finely diced ginger and let the syrup simmer over medium heat until thickened slightly. Pour the syrup into a jug with a spout and set aside to cool. Don’t remove the ginger from the syrup, as it will continue to infuse the syrup as it cools. To coat the rim of the glasses, dip the rim in a small bowl of water, then dip it in the sugar. Use glasses with a 7 fluid ounce capacity. 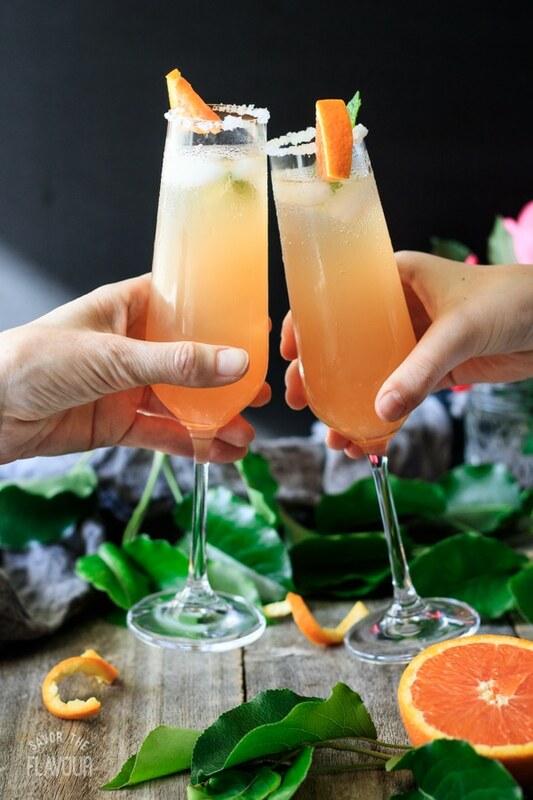 Combine the grapefruit juice, ginger syrup, and freshly grated ginger in a cocktail shaker or stir together until well blended. Place three ice cubes into each glass and fill halfway with the grapefruit and ginger mixture. Top with ginger ale and stir gently to combine. Garnish with a small wedge of cara cara orange or grapefruit and a mint leaf. Serve immediately. The grapefruit and ginger syrup mixture can keep in the fridge for a few days.